RICHARD CURRENTLY LIVES IN THE SOUTH WEST OF ENGLAND, BUT HAS PREVIOUSLY LIVED AND WORKED IN GAMBIA AND EGYPT. HE HAS TRAVELED WIDELY AND HAS ALWAYS BEEN KEEN TO PRODUCE ILLUSTRATIONS OF THE PLACES HE VISITS. 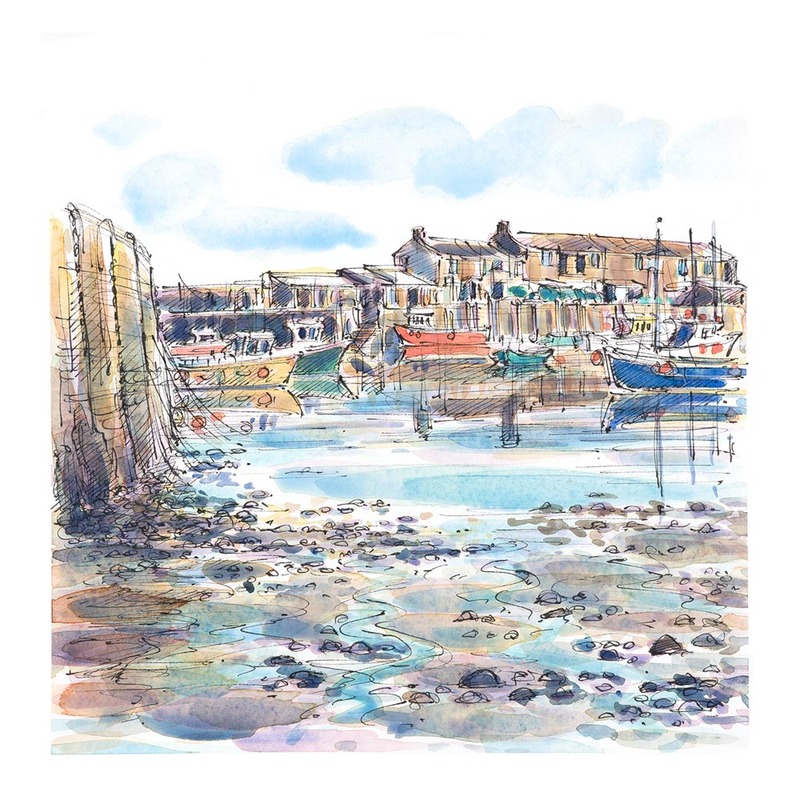 RICHARD HAS BEEN ABLE TO MAINTAIN HIS STYLE OF WORK, USING A FINE PEN AND INK LINE, BEFORE APPLYING A WATER COLOUR WASH. THIS STYLE HAS REMAINED POPULAR AND IN DEMAND IN BOTH GALLERIES AND FOR COMMISSIONED WORK. WITH AN INCREASING NUMBER OF GALLERIES KEEN TO SELL RICHARD’S WORK, HE TRAVELS THROUGHOUT THE UK AND IS ALWAYS WORKING ON THE NEXT IN THE SERIES OF IMAGES FOR ‘RICHARD BRIGGS’ BRITAIN’. 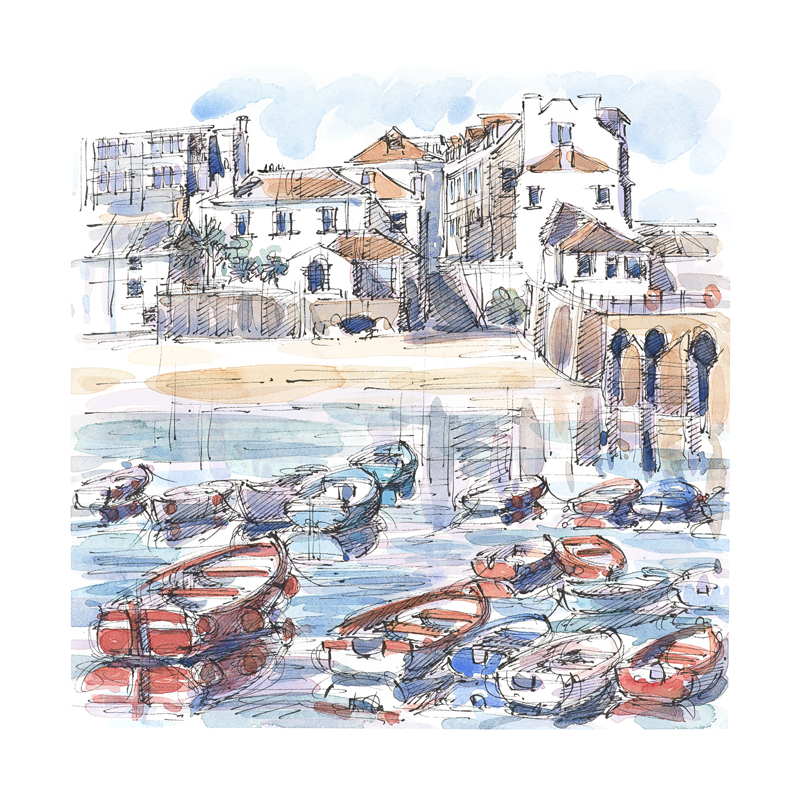 RICHARD’S LOVE OF DEPICTING TOWN AND PARTICULARLY CITY-SCAPES HAS NEVER LEFT HIM AND FROM AN EARLY AGE HE WAS KEEN TO FOLLOW IN THE FOOTSTEPS OF ILLUSTRATORS SUCH AS DAVID GENTLEMAN, PAUL HOGARTH AND EDWARD ARDIZZONE. 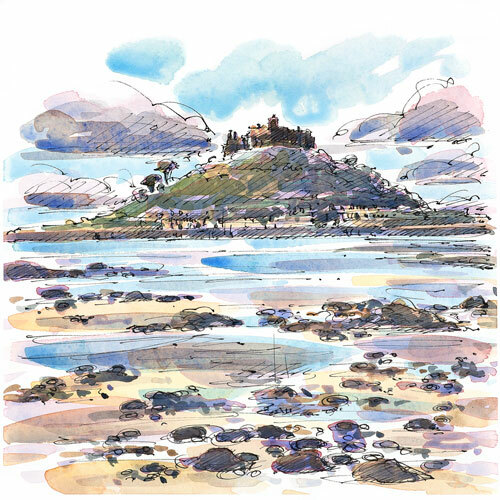 THE WORLD OF ILLUSTRATION HAS CHANGED OVER THE YEARS, HOWEVER RICHARD’S WORK HAS BEEN USED IN THE PAST FOR PLYMOUTH CITY INFORMATION BOARDS AND MAGAZINE WORK. MOST RECENTLY HE HAS HAD AN IMAGE OF ELY AS THE COVER OF THE VISIT ELY MAGAZINE.